There is now such a thing as the Motor Industry Code of Practice for Service and Repair and this was put into place as a kind of safeguard to protect you, the customer and your interests whilst encouraging garages to improve their customer service. To find a garage near you who has signed up to the code of practice, use the web and you can rest assured that you will get the best service possible. More info is available on the AA’s website. Now you have a list of trustworthy garages it is still worth having a little shop around between them to see who offers the best price. You can get your car serviced by non-franchised dealers without harming your warranty, however, it is worth reading through your warranty contract as the rules vary when it comes to any repairs needed etc. Make sure your service book is stamped and you are good to go. 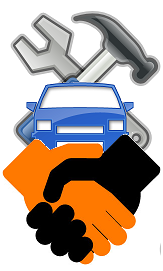 To compare prices of a service for your car in your area, try the internet. Simply enter he make and model of your vehicle, for example Chrysler Neon, in addition to your postcode, and a list of local service centres will be generated complete with individual pricing structures.